Okay, not the crispest pic we’ve ever posted, but it’s the thought/emotion that count! 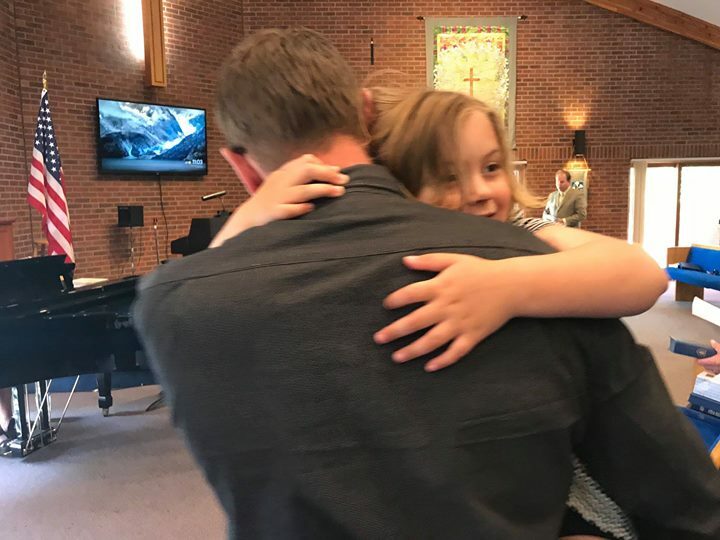 In case you weren’t aware, it is Father’s Day this Sunday and Pastor Gus will have some treats and a special message for all you dads out there. Take the time to reflect on what it means to be a father (if you are one) or to thank the father in your life (if he is still of this earth). Pray for those whose relationship with their father perhaps isn’t what they wish it were. Take the time to read your bible to explore the ultimate Father/Son relationship and we hope to see you this Sunday!